�Imagine a group of people who, for one reason or another are compelled to make a journey by foot across a desert strewn with patches of quicksand. Aware of the nature of the danger, but not of it�s several locations, they have evolved prior to the journey, a pattern of travel, a set of warning signals, a complex shorthand to alert each other of possible danger ahead. --Playwright Michael Weller on "Moonchildren". 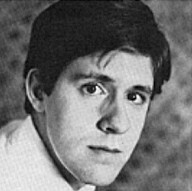 Mr. Herrmann returns to Washington where he was born, after appearing for four months off-Broadway as Hinkle in The Basic Training of Pavlo Hummel. He was last seen in Washington as Mortimer in Arsenic and Old Lace at Ford�s Theater. 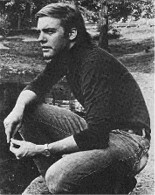 A graduate of Bucknell, Mr. Herrmann was a member of the Dallas Theater Center�s resident professional company for four years during which time he performed the roles of Alfred in Little Murders, Jussup in The Caucasian Chalk Circle, the title role in Vasco, Brindsley in Black Comedy, Valentine in You Never Can Tell and Charles Marlow in She Stoops to Conquer, among 40 other roles. He was in India for some time making the film The Banyan Tree as the featured actor. After that he spent a year in London at LAMDA under a Fulbright Grant, appearing in the new Christopher Fry play of A Yard of Sun, in the role of Justice Balance in The Recruiting Officer, Orsino in The White Devil and Antigonus in The Winter�s Tale. He has traveled extensively in Europe, studied Renaissance Art in Italy, and recently completed a small role in the film Mortadella with Sophia Loren. 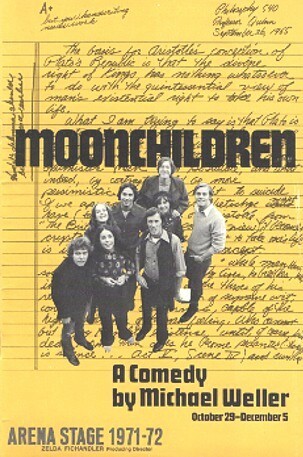 the original cast of Michael Weller's play "Moonchildren,"